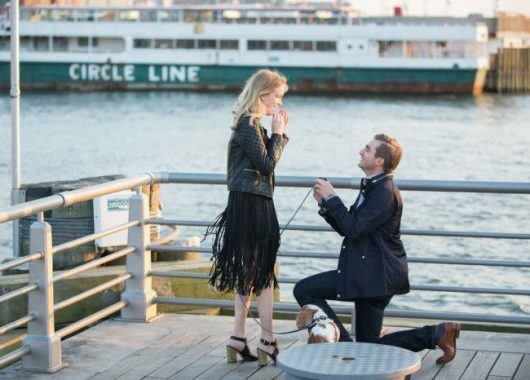 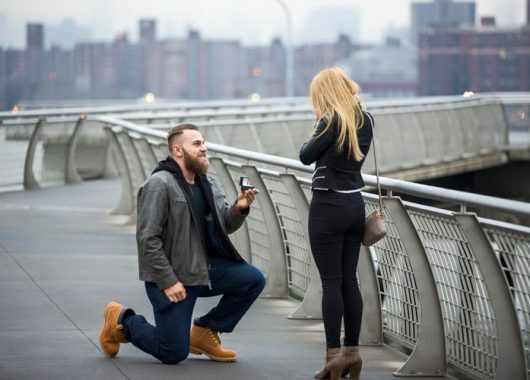 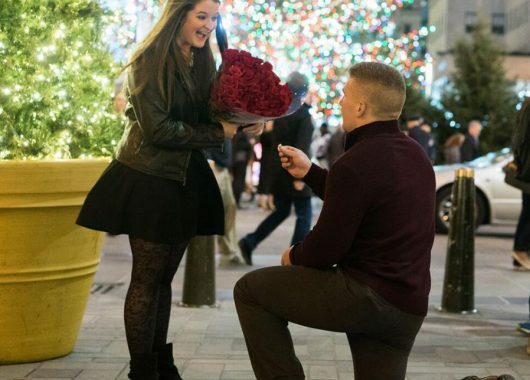 Surprise proposal on Roosevelt Island. 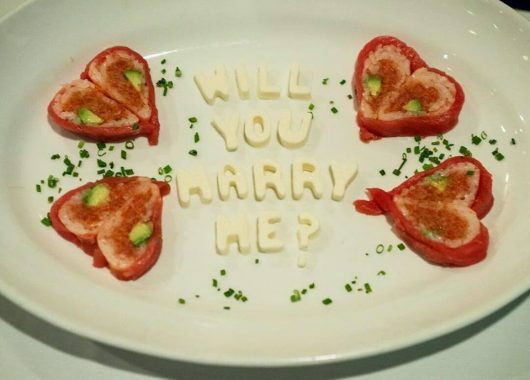 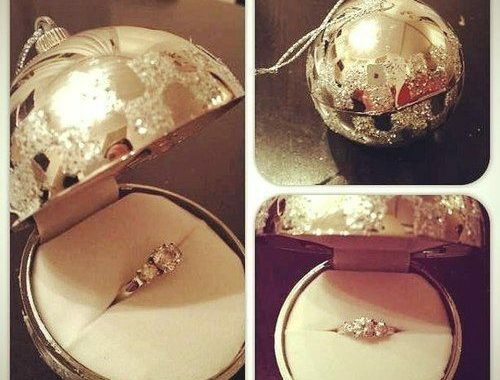 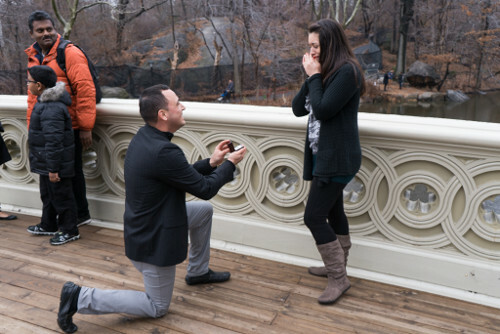 “I didn’t think he pop the question with -10°C below zero”. 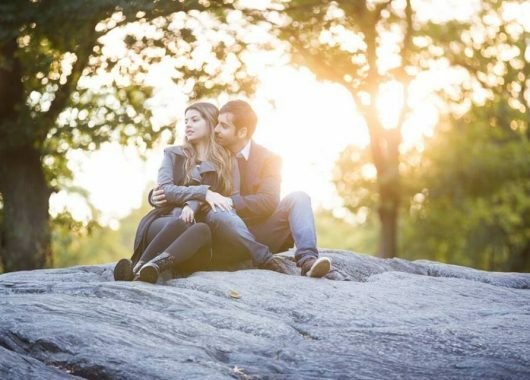 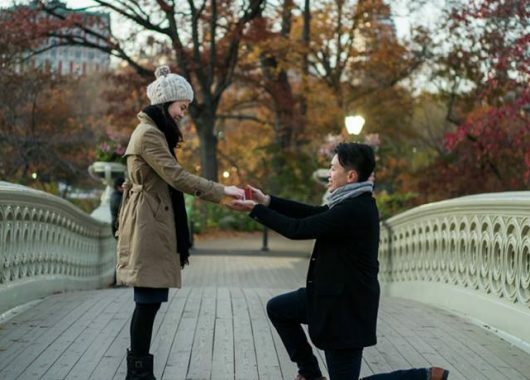 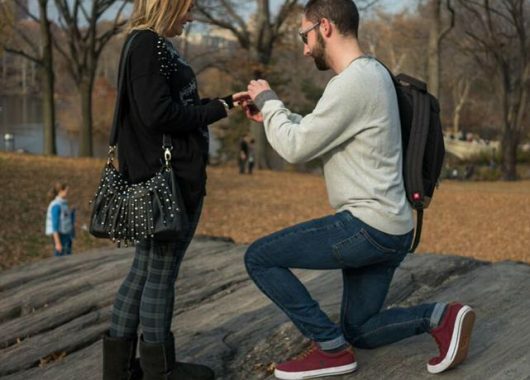 Surprise proposal in Central Park, Bow Bridge.